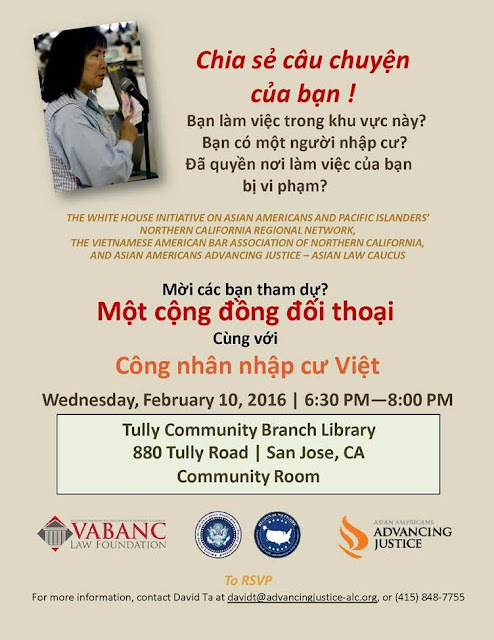 We hope you can join the White House Initiative on Asian Americans and Pacific Islander for a community dialogue on February 10, 2016 from 6:30 to 8:00 p.m. with the Vietnamese American community to discuss worker rights issues. 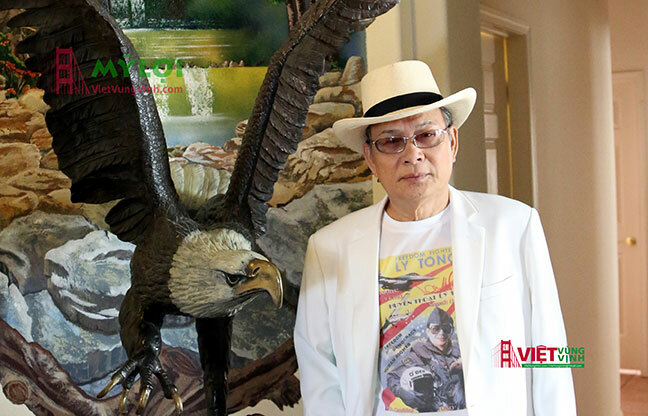 For more information, please contact David Ta, Advancing Justice/ALC/VABANC Law Foundation fellow at davidt@advancingjustice-alc.org, or (415) 848-7755. 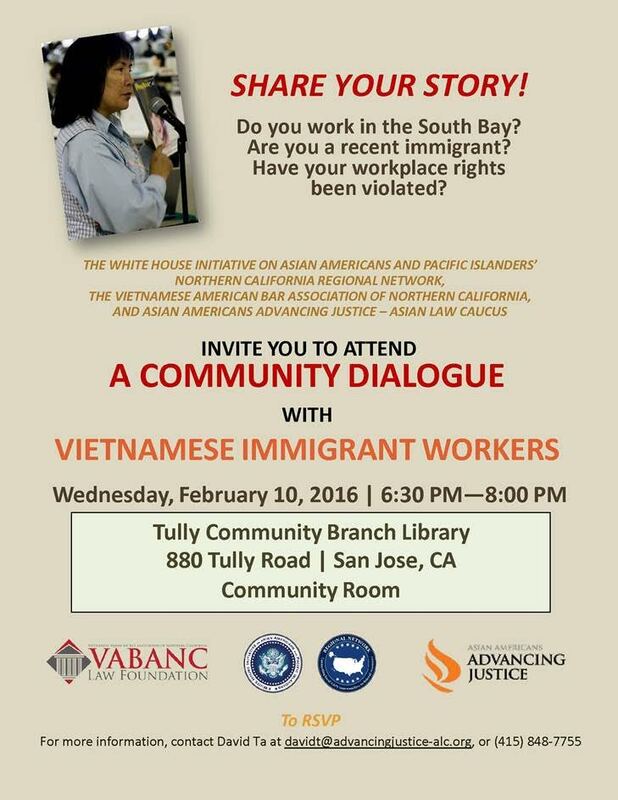 We need your help in getting the word out to our community so please forward widely.